Inspired by the souks of Medina in Saudi Arabia, the Medina 3 Ball Pendant light by Heathfield & Co is expertly crafted to create an opulent and diverse design. Skillfully formed using a fluted tube, the delicate borosilicate glass is manipulated into three globe shapes. Available in three beautiful colourways, the strong structure features either nickel or brass detailing for a contemporary touch. 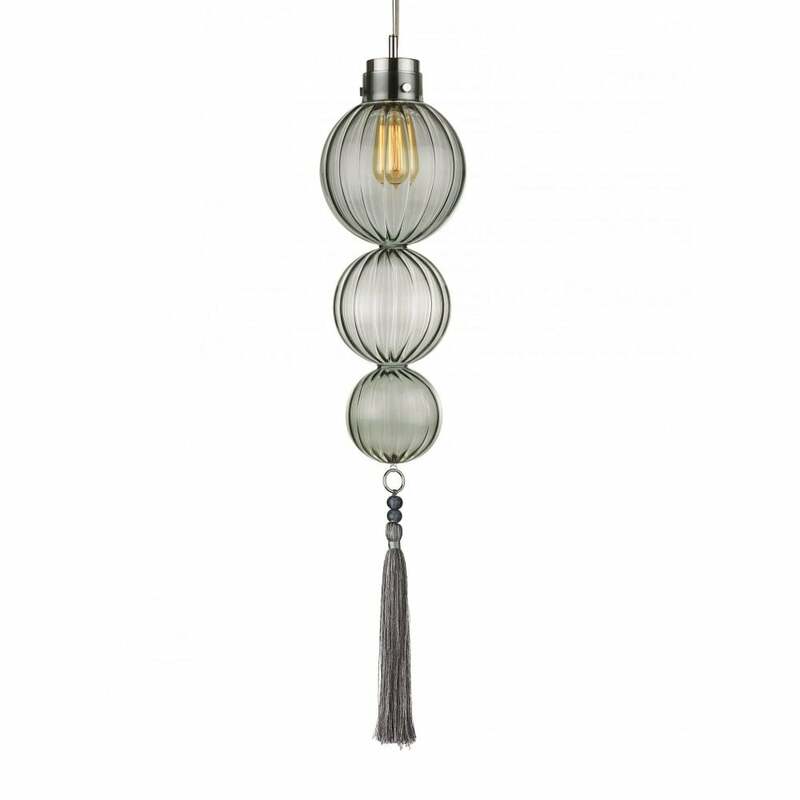 Delicate and striking, each light is finished with a luxurious tassel in collaboration with internationally renowned furnishing trimmings designer, Wendy Cushing. Make an enquiry for more information.